Yes, it's very hard to say good-bye to summer. But before you bid a fond farewell, why not make a tomato pie (or two) to use up the last of those delicious tomatoes? 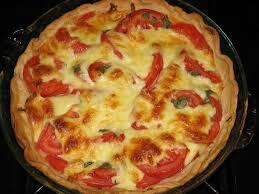 Here's my favorite tomato pie recipe. If you've tried to make tomato pie before and ended up with a gloppy mess with a soggy crust (speaking from experience here), you'll be pleased to hear that this recipe is different. The trick is that you bake the pie crust for 25 minutes before adding the tomatoes and returning it to the oven. It's a whole different experience this way and the bottom crust doesn't turn to slush. There are 4 main ingredients: the best tomatoes you can find. And of course a pie crust. Here's the recipe: the ingredients are simple. 1/4 cup fresh herbs (basil, thyme, chives, etc). I used basil because I have a ton of it in the garden. Heat oven to 375 degrees. Bake pie crust in lower third of the oven for 30 minutes. Transfer to a rack and let cool for 15 minutes. Increase the oven heat to 400 degrees. 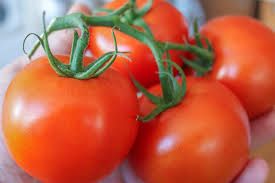 Slice tomatoes 1/3 inch thick, sprinkle with salt and arrange them on a wire rack to drain. 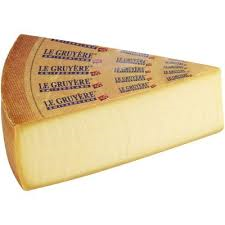 Spread the mustard over the bottom of the pie crust and sprinkle the Gruyere over it. Pat the tomatoes dry (this is very important!) and arrange them over the cheese in one overlapping layer. Bake on the oven's middle shelf until the pastry is golden brown and tomatoes are very soft, this takes about 35 to 40 minutes. Stir together olive oil, garlic and herbs in a small bowl. Drizzle this on the pie and spread, as soon as the pie comes out of the oven. Hope you try this, it's delish! This pie freezes well, by the way, so you might want to make one and freeze one. You and Molly MacRae need to get together and make and sell your pies!! Is that your pie crust? I feel so inept! It is perfect!!! My pie crusts tell me- thanks for leaving me alone..now..let me be!!LOL!! Great recipe for the end of season. If you freeze your pie, I would add the oil over the top, after it thaws.....and before it is warmed up. 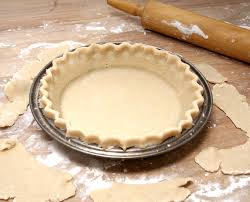 True confession time, Sue Ann, I have a great recipe for pie crust but this time I used Pillsbury, the ready-made kind. That's a good hint about the oil, thanks! Nicole, if you have a lot of tomatoes, you could also make salsa. I love the home-made kind, it is so much better than the kind that comes in a jar! How wonderful Mary, it looks so professional, and now that it is getting cooler I don't mind heating up the oven. Hi Cordella, yes, definitely make the quiche...it makes 2 pies and you can freeze one. 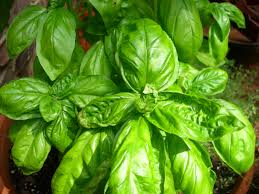 It is a favorite around here, especially in the summer because I add fresh basil and parsley from the garden. I'm so glad you like the recipes. I picked up a couple of new recipes in Paris last month and will post them. Thanks for stopping by! Hi Margaret, it's really good! Get the best tomatoes you can find...that makes a difference. I bought the "on the vine" ones--they were a deep red color and had a lot of flavor. It's also good to use up fresh tomatoes in home-made soup, it's almost Fall (and soup-making time! ).